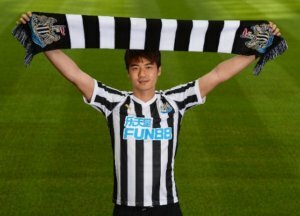 Ki Sung-yueng must have been surprised when he has played so few times up to now for the Newcastle first team. He has played five games in all competitions for the Magpies including four in the league but Saturday’s performance when he came on in the second half was by far his best in a Newcastle shirt. His beautiful free kick on 65 minutes was headed in by another sub – Ayoze Perez – for his first goal of the season. Ayoze is now joint second top scorer behind Joselu who has two goals this season. Ki has always looked an accomplished and experienced midfield player, and he was brought in as a free agent to replace Mikel Merino who joined Real Sociedad in the summer. Getting thumped is seriously bad for morale. And goal difference. I get that. Still, it’s about points now. I just realise that it’s a risk, if one goes for a win. I seem to recall a thumping or three when we finished fifth. I’d take that right now. Shelvey rarely passé a bad ball stays deep and tends to pass sideways and long balls across field as Ki is all- round more mobile will try things carrying the ball plays one-twos and will take a chance. With Schar and Ki in the team we will attack more and quicker but will be more open to the counter attack. I don’t know what Rafa will do, but would you not start those two? Given what they’ve shown?